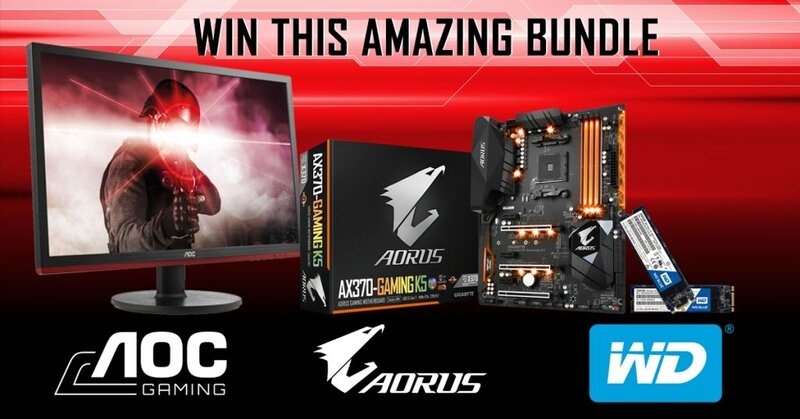 Win PC hardware bundle from GIGABYTE, WD & AOC! We have joined forces with AOC & WD to offer you the chance to win these prizes. The main prize is the following hardware bundle: GIGABYTE AORUS AX370-Gaming K5 Motherboard, WD Blue 500GB M.2 SSD Drive, AOC 24" G2460VQ6 monitor, AORUS cap. The second prize is: WD Blue 250GB M.2 SSD Drive, AORUS cap. This giveaway is for UK & IRL residents and it ends on the 26th of September 2017, 11:59 p.m. BST. Re: Win PC hardware bundle from GIGABYTE, WD & AOC! How come this is only for UK & IRL residents? This particular Gigabyte Forum is the one for UK and Ireland, which is why the competition is only open to residents from these countries.